Is there anything more useful than a muslin baby swaddle? From actually swaddling your baby, to pram cover, to breastfeeding cover, to baby play mat, to car-window sun blocker to clean-up cloth or emergency bib, muslin swaddles are pretty much the most useful baby item out there. Gloriously, for the modern-day parent, they are now available in an awesome array of colours and patterns, and we have found the perfect unisex swaddles for your new baby or next baby shower gift. 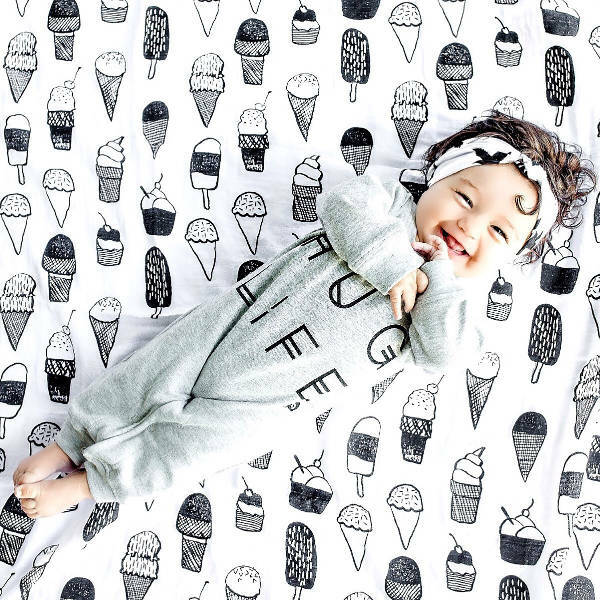 A quick browse of all things baby on the interwebs makes it clear that black and white is the must-have gender neutral colour scheme for babies. Any why shouldn’t it be? Bold and stylish without being over the top and about as far from pastel mints and yellows as you can get. And for black and white muslin swaddle blankets, it is hard to go past the latest collection from Modern Burlap. Modern Burlap are a Texan based ‘Mom and Dad’ company who have totally nailed the black and white colour scheme. As an unashamed geography nerd, I just love the world-map design (pictured top), though the ‘xo‘ and ‘ice cream love‘ are pretty darn cute as well. 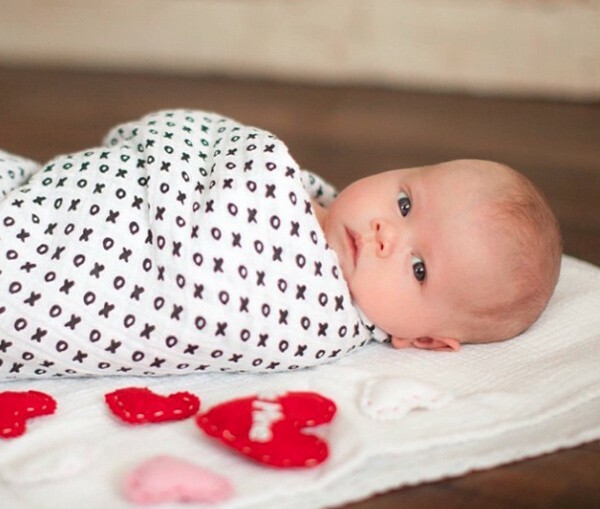 The Modern Burlap swaddles are all made from 100 per cent GOTS certified, environmentally sustainable organic cotton. They are a generous 120com square and retail for US$26 each. Modern Burlap ship worldwide.